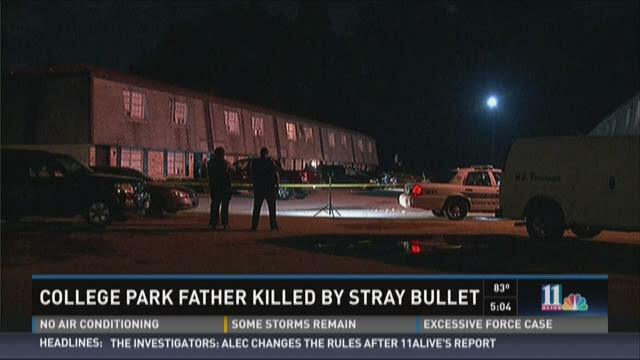 COLLEGE PARK, Ga. -- A College Park father was killed by a stray bullet from a gunfight late Thursday, according to police. Authorities have made one arrest and are searching for other suspects in connection with the shooting. The incident happened at around 11:50 p.m. at the Chastain Crossings Apartments in the 2600 block of Roosevelt Highway. Authorities said the shooting was prompted after a tenant got upset about other residents sitting on his car while watching a basketball game. Investigators said when the men refused to move, the car's owner went inside and retrieved his gun. When he brought it outside, others also pulled out their weapons. At least 15 shots were fired from several different weapons, police said. The victim, 52-year-old Robert Moore, was watching television in bed in his upstairs apartment when the bullet went through his wall and killed him. They do not believe Moore -- a father of four -- was the intended target. 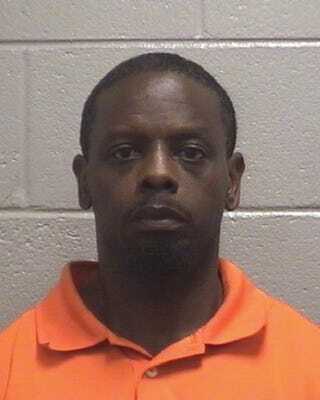 On Friday, police said they arrested 44-year-old Felerix Cofer in connection with the shooting. Cofer is charged with a weapons violation, as police said they are not sure if the bullet that struck Moore came from Cofer's gun. Authorities are still searching for several other persons of interest. 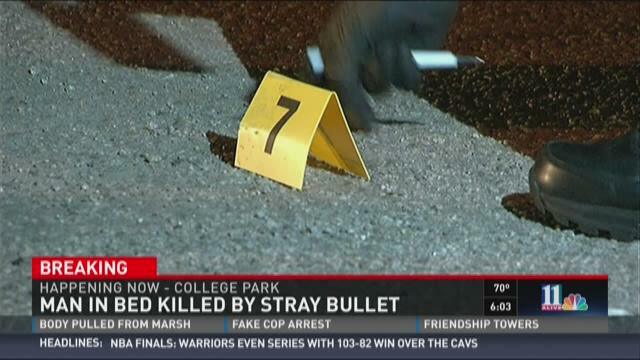 Anyone with information is asked to call Crime Stoppers Atlanta at 404 577-Tips (8477).